A weekly review will help you understand what you have done, what you are doing, and what you need to do to complete your projects and long-term tasks. So, practice this habit once a week. Get clear on the current situation. Look at notes from meetings, receipts, business cards, notes on your phone/notepad, e-mails, texts, etc., and file what is relevant to the projects and tasks you are currently working on. Get rid of any junk. Get up-to-date with the information you currently have. Look at all the actions you have taken with regard to your project and all the steps you have taken to get closer to completing it. Mark them off, and think about what you are going to do next. Then, look at previous calendar data and ensure all the necessary work has been completed. Also look at the calendar entries for your upcoming week to get an idea of what you will be doing. Look at all the things you are waiting for from others—maybe it’s a follow-up report or an email—and identify what you are still waiting for and what you have already received. 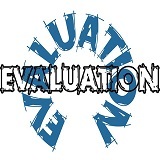 Then, review your project as a whole and evaluate its status. Look through potential projects and add the interesting ones to your list. Allow your mind to relax and brainstorm for new ideas.